UPDATE – Home team Oregon won the NCAA Division I Team Championship beating the Texas 3-2 in the Final. Oregon’s Aaron Wise won the Individual title a few days ago thus making the Team win a memorable double for the ‘Ducks’. Texas were hampered from the outset with star player Beau Hossler unable to start due to a shoulder injury picked up in the Semi-Final. With no substitutes allowed Beau was forced to concede his match against Zach Foushee on the first tee. Suman Raza won his match on the 21st hole (the 10th) to secure the title for oregon. The Stroke Play Stage of the 2016 NCAA Division I Men’s Championship finished last night after fours days of intense competition at the Eugene Country Club in Oregon. 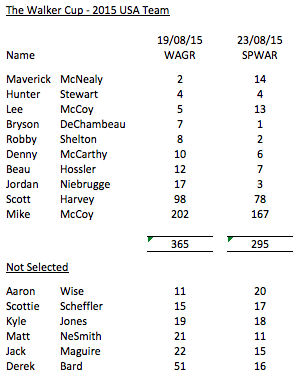 30 teams of 5 players and 9 individuals started the Stroke Play qualifier. The Stroke Play Stage is used to determine the 8 College Teams that progress to the Match Play Finals as well as the NCAA’s Individual champion. The Stroke Play event was played over 72-holes albeit there was a 54-hole cut on Sunday night. This saw the field reduced down to 15 teams, with the leading 9 individuals not affiliated with one of them also advancing. The best 4 scores from 5 are used to determine each team’s total round score. The fifth score is only used to resolve ties after 54 -holes. It is worth noting that the NCAA Division I Nationals is one of the major men’s amateur events. 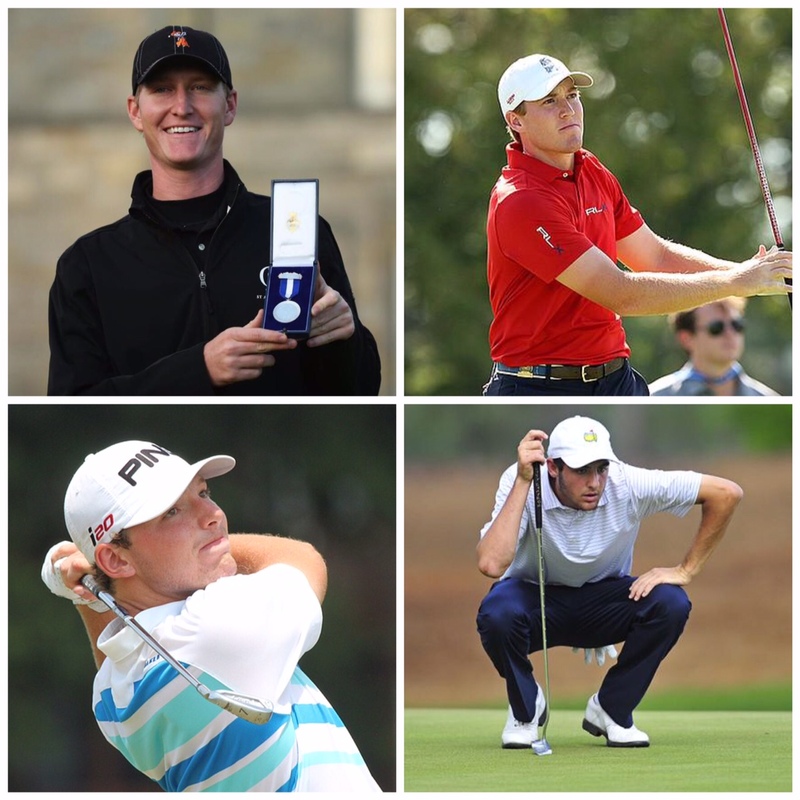 Based on the strength of it’s field it is expected to be the third most important event in this year’s calendar after the US Amateur and the Western Amateur. Sadly the Amateur Championship continues to fall down the rankings, suffering as it does from next to no United States participation. 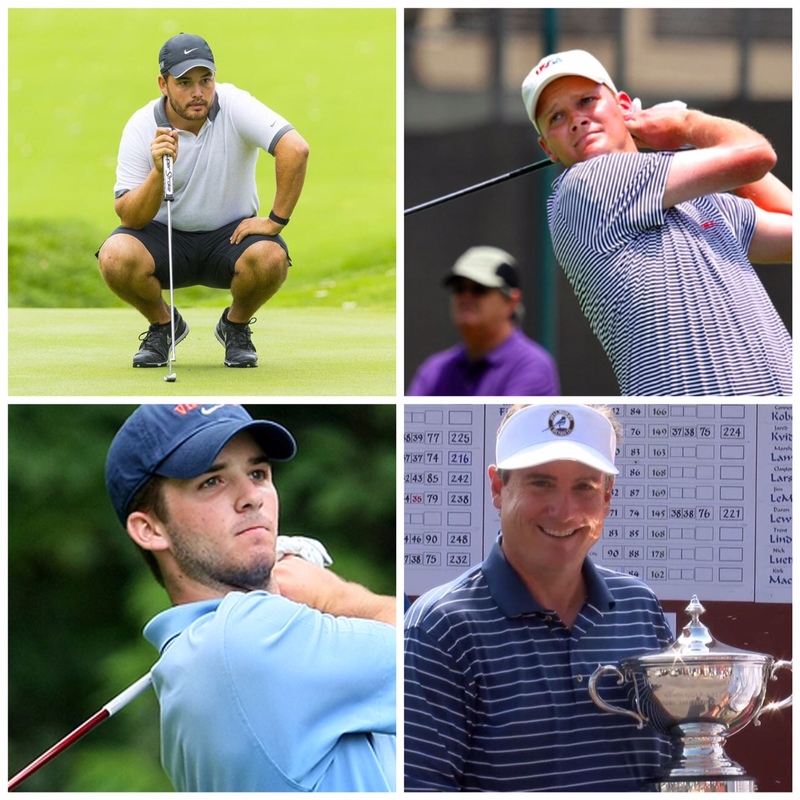 Great Britain & Ireland (GB&I) had three players competing in the Championship – David Boote (Stanford), Sam Horsfield (Florida) and Paul McBride (Wake Forest). It’s fair to say things didn’t go as well as I had hoped for all of them. After 54-holes David Boote was the highest placed GB&I player. After rounds of 69, 73 and 74 he was tied 50th on +6. Unfortunately Stanford, the No. 1 ranked Team at the start of play, had a poor competition. Their 54-hole Team score of +44 saw them finish 28th and easily miss the Top 15 +27 Team cut. As he was not one of the leading 9 individuals David’s event – his final one after 4 years in California – ended alongside that of his team mates. David has had a really strong year at Stanford and can be expected to be competitive in this summer’s elite amateur events back home. Sam Horsfield shot rounds of 70, 75 and 72 for a +7 and tied 62nd 54-hole result. He was Florida’s second best scorer after Gordon Neale (70 67 and 73 / E T9). Neale and Horsfield led Florida to a +26 54-hole total which saw them finish 13th in the team standings and therefore just progress to yesterday’s final round. Sam shot a 69 to finish the 72-hole event in tied 22nd on +6, one better than Neale who shot a 77. Unfortunately Sam’s team mates couldn’t follow his lead and Florida fell back to 15th on +43, 19 shots away from the all important 8th place. Whilst I am sure he will be disappointed with his and Florida’s performance in the Nationals there is no question that Horsfield has had a superb freshman year in US College golf. His single season stroke average of 70.55 is the lowest in Florida’s history (records only kept since 1982). He played 13 tournaments finishing in the Top 25 12 times. He had 8 Top 5’s and 3 Wins. He has committed to at least one more year at Florida and with Andy Zhang joining them next year the only way is up for the Gators. UPDATE – Sam Horsfield was today named as one of the ten 2016 Division I PING First-Team All-American by the Golf Coaches Association of America. 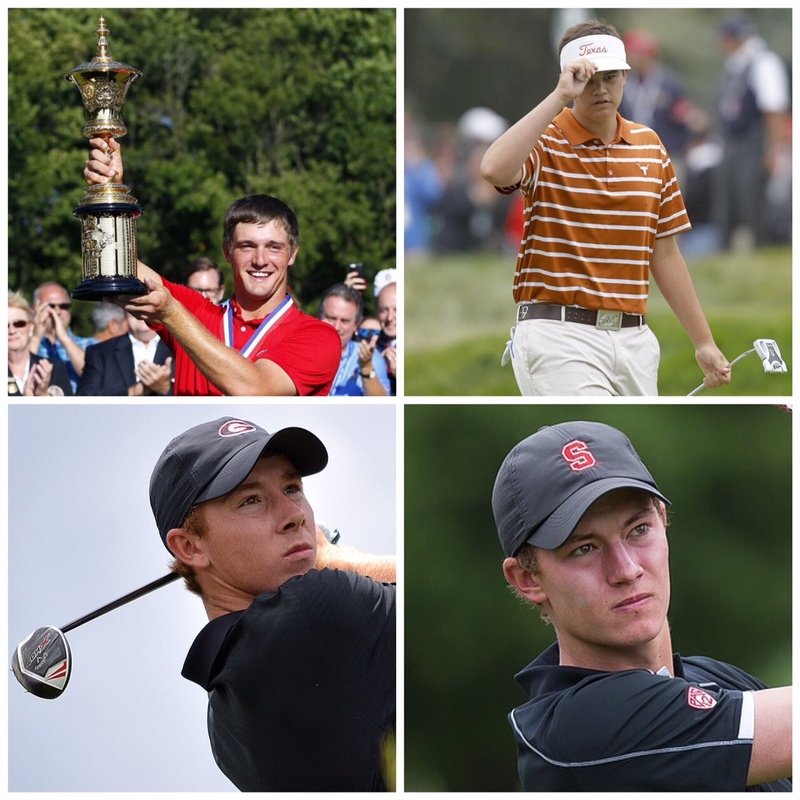 Sam was the only Freshman in the group which also included Charlie Danielson, Beau Hossler, Lee McCoy, Maverick McNealy, Matthew MeSmith, Jon Rahm, Matthias Schwab, Robby Shelton and Aaron Wise. Paul McBride got off to a bad start and whilst he showed improvement each day his scores of 77 76 and 73 meant a disappointing +16 total and tied 132nd finish in the individual standings. Wake Forest finished on +31 after 54-holes and their tied 23rd position meant an early exit. Paul’s team mate Will Zalatoris (+3 / T20) progressed as an Individual but a final round 78 saw him fall back to tied 51st. Aaron Wise of Oregon won the Individual NCAA Division I Championship with a -5 72-hole total score. Wise, who has been a leading amateur for some time and was unlucky not to make the 2015 US Walker Cup team, will be turning Pro after the Nationals. He earned playing rights on the Mackenzie Tour a few weeks ago have achieved medallist honours at their Q-School. Texas (+14), Illinois (+15), LSU (+16), Southern California (+17), Vanderbilt (+17), Oregon (+19), South Carolina (+22), and Oklahoma (+24) all qualified for the two-day Match Play Finals which start today and will determine the Team NCAA Division I Champions.